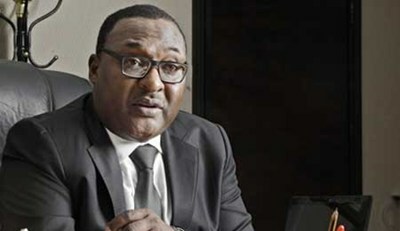 The Executive Secretary of Nigerian Shippers Council (NSC), Barr. Hassan Bello on Thursday called for export promotion in the country as part of the efforts to diversify the national economy. Bello said part of this agenda should be for the relevant agencies involved to simplify procedures for export trade to boom. Speaking during the visit of members of the Nigerian Association of Chambers of Commerce, Industry (NACCIMA) to the Council, the NSC boss said time had come for Nigeria to be fully geared towards export and not rely on oil. He also said that what is necessary now is for the nation’s ports to be configured for exports, adding that this is being discussed at the Presidency. For instance, he said that the Vice President was not pleased over the report of the 2000 containers of exports that were stranded at the ports because of the issue of certification. Bello said that when this was reported to the Vice President, Prof. Yemi Osinbajo, he quickly instructed the Ministries to address the issue. “We need to have a simplified export procedure. We need to encourage export from the Bank up to the port”, he said. He disclosed that the recent seminar held at Ibadan, Oyo State capital, involving the Council and other agencies of government featured prominently on how to promote export trade in Nigeria. As part of the promotion of export trade, the Managing Director of AM Bonded Terminal, Mr Israel Ibanga had advised during the meeting that export containers should not be handled in the ports but in off-dock terminals. Ibanga criticiased the shipping companies for the delay in refunding container deposits as well as the proliferation of government agencies seeking settlements from stakeholders, saying this was affecting trade. The NSC boss, Bello, also described the port reform exercise which led to the concessioning of cargo handling operations as having produced a lot of efficiency in the system. He said this could be seen in cargo clearance except for the Apapa infrastructure issue. But he added that the sufferings by stakeholders at Apapa will soon be over with the current efforts of the government and the Lekki Deep Seaport project. He added that Nigerian ports have been positioned for competitiveness, forecasting that this will year will record the highest turnaround time which shows some level of improvement. But Bello pointed out that there is still more work to be done for more efficiency to be attained in the system. According to him, every stakeholder should embrace automation like agencies of government in the ports have done. Bello however described the clearing procedures in Nigeria as very primitive and cannot be found anywhere in the world. He called for elimination of cumbersome procedures in clearing as the only way to make Nigerian ports competitive. He identified the much talked about National Single Window as well as the Cargo Tracking Note (CTN) as necessary to eliminate any form of cumbersome clearing in the ports. Maritime lawyer, Mr Mike Igbokwe, SAN, had wanted to know the efforts of the Council in ensuring that some maritime courses are introduced in Nigerian universities in line with the kind of training given to judges. Igbokwe said this was necessary for law students who are future judges to serve as guide on how to handle arrest of ships in their court. Responding, Bello disclosed that already the Council has engaged the Nigerian Universities Commission (NUC) to introduce maritime law in Nigerian universities for the interest of the maritime sector. The President of Nigerian Association of Chambers of Commerce, Industry (NACCIMA) Iyalode Alaba Lawson, MFR had called on the federal government to replace obsolete policies in the maritime sector.